What’s the difference between a lever harp and a concert or pedal harp? One common question that budding harpists often ask is about the difference between Celtic or ‘lever’ harps and concert or ‘pedal’ harps (these also sometimes are called Classical harps). Although the technique of playing both harps is quite similar, they have a lot of differences between them in terms of size, expense, and repertoire. To find out more you can watch Allan talk you through some of the main differences by watching the video on the right or reading more and checking out the chart below. 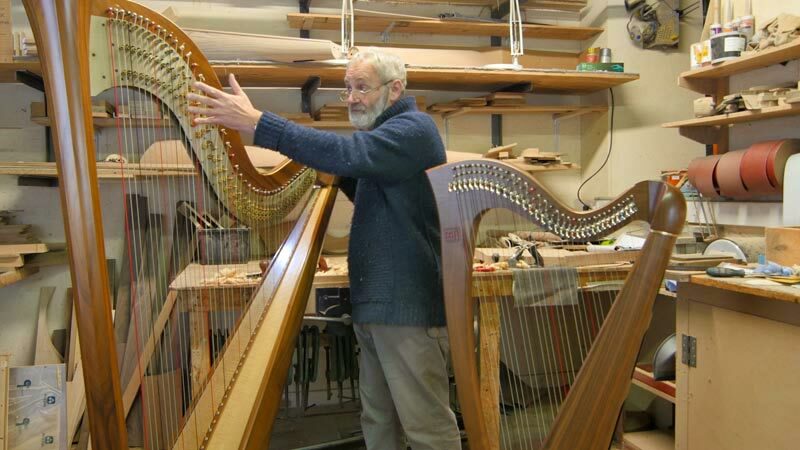 For more information on buying a harp you can check out our useful guide here. If you are searching for harps, the first difference that you will notice between lever and pedal harps is the price. In construction terms it’s similar to the difference between a bicycle and a car. Concert harps are vastly more complex than lever harps and so come with a higher price tag. Lever harps usually have between 22 and 36 strings and are generally smaller in size. Some 36 string harps can sometimes approach the height of a concert harp but there are big variations between makes and models. Concert harps usually have 44-48 strings and often have an extended soundboard at the bass end for added volume. They are bigger, taller and heavier than lever harps (usually around 32-35kg) and so not very suitable for young children to play. Other than size, cost and number of strings, the principle difference between the two types of harp comes down to their chromatic flexibility. Lever harps are diatonic, which means they are only able to play in a limited number of key signatures. Key changes are accomplished by using the semitone levers. If you tune a harp in Eb you can access 14 keys (from Eb major with three flats to E major with four sharps) but modulating quickly in the middle of a piece is more difficult than it would be on a pedal harp. Due to this and the limited number of keys, the range of repertoire (particularly Classical) is slightly more limited. Concert harps, on the other hand, are fully chromatic and can access the full range of keys from Cb major to C# major. 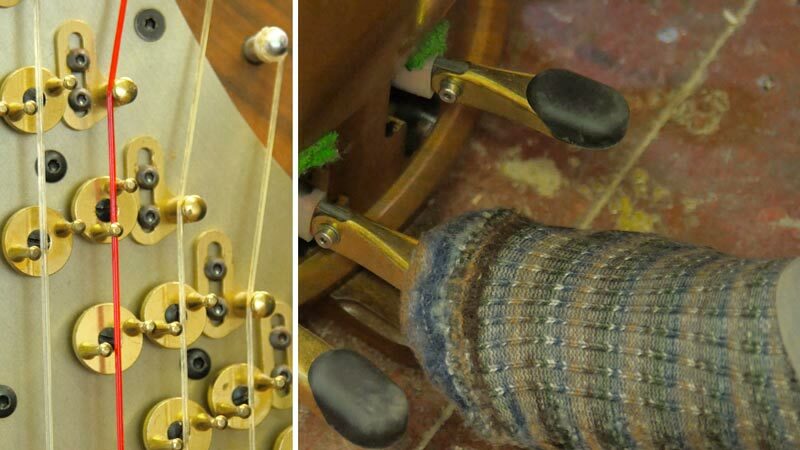 This is done by using pedals located at the bottom rear of the harp which allow harpists to change keys and use accidentals in the middle of pieces. Concert harps can play full the full classical repertoire.